There are two types of floating fenders. Calls pneumatic fenders (FLN), ie air fenders whose interior is pressurized air and the foam floating fenders (FLE), whose interior consists mainly of a closed pore polyethylene being crosslinked its exterior comprises a polyurea elastomer. Both types can carry external protection based on chain & tyre netting. 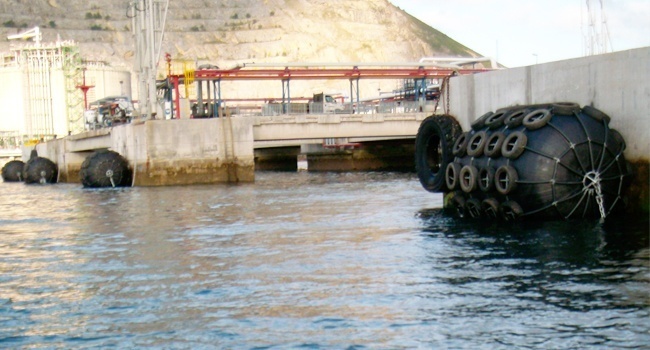 These floating fenders systems can serve as additional fender system to the already existing one on the dock when existing ones are not enough (by changes in the typology of ship berth, etc). On the other hand, it is also used for operations of boarding between ships. Their deformation capacity is 60%.